Everyone knows Tesla for its eco-friendly cars, innovative batteries and powerful solar panels, but now the automotive-turned tech company is getting into the smartphone game with a new mobile battery pack. 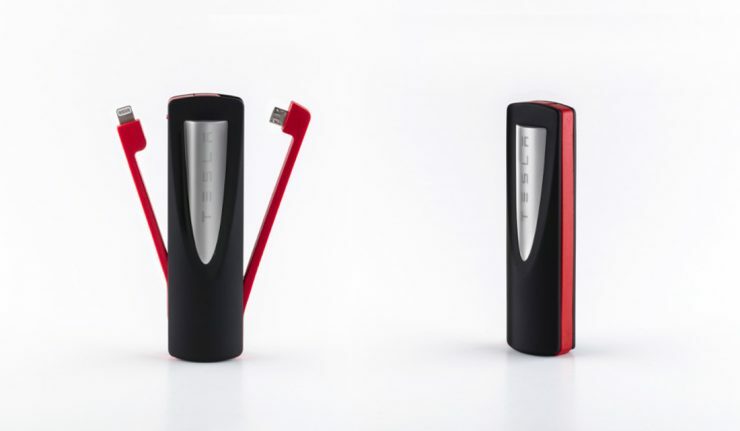 Modeled after Tesla’s supercharger monument at the Tesla Design Studio in California, the PowerBank has a built-in USB, lightning cable and detachable micro USB for easy and efficient charging. It’s lightweight and compact, so it will fit inside your pocket, backpack, briefcase or purse without taking up too much space. The most unique aspect of the PowerBank is it uses the single 18650 cell, which is the exact same battery pack used in all current Tesla cars today. So even if you can’t afford an actual Tesla, you can take a small piece of one with you wherever you go. At $45, the charger won’t break the bank, considering most Tesla products can get a bit pricey. However, its 3350mAh capacity and 5V/1.5A max output is comparable to cheaper chargers, and it will only be good for one quality charge. So you might want to wait until the pack gets a little more hefty before you run out and grab one.